I have always thought that making rules for governing war was absurd. In fact war is absurd – and brutal and deadly. War is brutal and absurd, Paul. That’s why I’m a pacifist. Torture is even more brutal and absurd. If we say,”all’s fair in war” then we have no reason to be upset with terrorists for deliberately targetting civilians. See, that’s like saying that it was okay for Sherman to burn cities during the Civil War, okay for Hitler to gas the Jews, okay for the Khmer Rouge to do the killing fields–because in war there are no rules. War crimes express the conviction that, evil as war itself is, some actions within that are more evil than others. Why does torture, including waterboarding, count? Because a prisoner is captured, removed from the battlefield, and no longer a threat. So, to torture him is simply wanton cruelty. 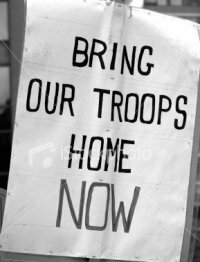 Unfortunately, war is inevitable, and we, the “civilized” nations must make “rules” of war in order to make it clear that we do not subscribe to inhuman treatment of POW’s or other prisoners. Rarely do those, who are in situations where they may be captured, have enough valuable information to make torture worthwhile. By the same token it is rare that torture produces any valuable information. Indescribable pain will make even the strongest tell lies to stop it. Resistance to torture until death only works in the movies and in novels. General Sherman’s troops burned my city – Columbia, South Carolina in the Civil War. Was that a war crime Michael ? Then Federal troops occupied the South for twelve years. War crimes are in the eye of the beholder ! Embarrassingly, they will tell truths to stop it too. Of course, Sherman’s burning of Columbia, SC (and many other Southern cities) was a war crime, Paul. It’s not in the eye of the beholder, but in international law. The Federal occupation is a different matter. By itself, occupation is not a war crime–especially not of a city or state that has committed treason by rebelling from the lawful government. Occupation is a danger in all failed revolutions or secessions. But, if the troops committed rapes, thefts, or other atrocities during their occupation, these would have been war crimes. You can look these matters up in both international law and U.S. law, Paul. The eye of the beholder has nothing to do with it. I do not believe war is inevitable, Ralph. It has a whole lot to do with it Michael for Southerners with long memories!! Paul, what’s your point? I have lived among such “Southern partisans” my whole life. Sherman was a war criminal and the first time I saw a statue in his honor in NYC, I was shocked. But what does that have to do with Bush’s war crimes? Are we to overlook them because of Sherman? I don’t understand your point? I am a proud Southerner who recognizes the good and the bad about my history.Bush hasn’t been convicted of war crimes and General Sherman wasn’t either. Saddam Hussein was found guilty and hung. A couple of Serbs were recently e,g, Milosevic. An accusation is one thing-proving those accusations is quite another. If Bush was found to be guilty of such travesties, I would accept that determination. Your “Southern partisan” comment smacks of condescension Michael! Obama is also a war criminal. Proof–he appointed McChrystal as head of the Afghanistan war. But nobody talks about that. How about it Michael? how can you not ALSO say that Obama is a war criminal for approving of attacks against innocent civilians in Afghanistan and for appointed a well-known war criminal as the top general there? Actually, Kathy, I have criticized the choice of McChrystal and said that he needs to be investigated. I don’t think McChrystal’s crimes are proven–but there is enough for a full independent inquiry with possible criminal charges. I REALLY get tired of you claiming that I don’t criticize Obama when I do. Missiles fired by a suspected CIA drone aircraft yesterday struck a funeral attended by Taliban militants in South Waziristan, killing dozens in what is thought to be the deadliest such attack since the U.S. government began its covert campaign against Pakistan-based fighters last summer. U.S. officials confirmed that the missile strike had killed what one source described as “a large number” of suspected Taliban fighters, though exact numbers were not immediately available. Local media accounts put the toll at 52, a figure that U.S. officials did not dispute. As many as four missiles were fired at the gathering by what appeared to be an unmanned Predator aircraft in the Makeen area of South Waziristan, near the Afghan border. Previous strikes in the region have been attributed to the CIA, though the spy agency has not acknowledged conducting any such attacks inside Pakistan.